City is now a self-governing member of the University of London (UoL) federation. City’s official name is now ‘City, University of London’. “Joining the University of London is the next step in City’s evolving history. It comes in the year we celebrate the 50th anniversary of being granted University status by Royal Charter. During the past five decades, the institution has thrived, strengthened its academic reputation and achieved remarkable growth thanks to the commitment of our staff, the excellence of our students and the support of our alumni. “We will retain our historic strengths, professional credibility and deep-rooted City of London heritage and bring them to the large, diverse and dynamic academic community that is the University of London. Membership will strengthen the currency of our degrees, both at home and abroad; and will help us capitalise on opportunities for collaboration, reinforce our international profile and expand our research and education capabilities. The University of London was founded by Royal Charter in 1836 and is a collegiate University consisting of 18 self-governing member institutions and 9 specialist research institutes. Becoming part of this London-wide community enables City staff and students to gain access to many benefits and new opportunities including research collaborations, student exchange opportunities and access to University of London such as Senate House Library and Student Central. City will continue to set its entrance criteria and examinations, award its own degrees and offer independent services to students. It will remain a chartered institution, autonomous and self-governing, with its own Council, Senate, Students’ Union and other bodies as at present. 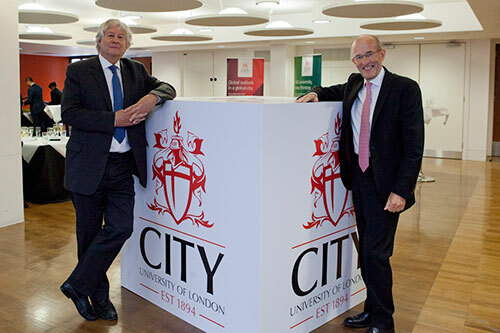 Joining the University of London is another milestone in a successful year for City. In May, City was ranked 18th(and fourth in London) in the Guardian University Guide 2017. The leap from 37thplace made City the largest climber in the top 20 and positioned the University for the first time as a 'top 20’ UK university. The University of London is a collegiate research university located in London, consisting of 18 constituent colleges, nine research institutes and a number of central bodies.